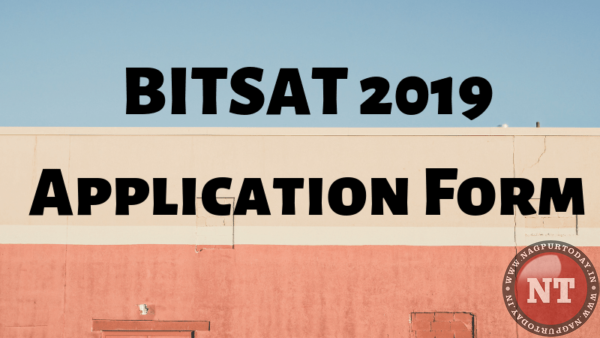 The application form for the BITSAT has been released for the year 2019. BITSAT is an online admission test conducted by the BITS Pilani. Students who aspire to pursue the various integrated UG and PG degree programs of engineering offered in the three campuses – Pilani campus, Goa Campus and Hyderabad Campus, have to first gain a passing score in this entrance examination. The last date of application for BITSAT is 20 March 2019. Admit cards will be available from April 12. The examination is scheduled to be conducted from May 16th to May 26th. The examination questions will be based on NCERT class 11th and 12th syllabus. The university itself will release a sample paper for students to prepare better. A sample mock test will be available for registered students in the month of March/April to practice and understand the examination pattern. Eligibility Criteria: A minimum of 75% or more in PCM/PCB aggregate is required for a student to apply for BITSAT. 74.6% or 74.9% will not be considered 75%. The total time duration of the BITSAT examination is three hours. The question paper comprises of 150 multiple choice questions. There is negative marking in the BITSAT examination. For every wrong answer 1 mark is deducted and for every correct answer, the candidate is awarded 3 marks. No marks will be awarded for the un-attempted questions. Calculators and logarithm tables are not allowed in the test centers. BITSAT 2019 will comprise of questions from Physics, Chemistry, Mathematics/Biology, English and Logical Reasoning. The question paper will be in English only. There is no time limit to answer individual parts of the test. Candidates are allowed to go back and forth and change their answers among the 150 questions. If a candidate attempts all 150 questions in 180 minutes without skipping, they get to answer 12 additional questions. These questions are from Maths/Biology, Chemistry and Physics. However, if a candidate opts for these extra questions, they cannot make any further changes in the previously answered 150 questions. Answering the 12 questions will increase a candidate’s chance of securing extra 36 marks. No additional time will be provided to answer these questions. It has to be completed within the stipulated time allotted for the examination. A rational candidate should attempt these questions only if they have at least 20 minutes left in hand and are sure of their answer in at least 135 questions. In order to maintain transparency in terms of a number of correct and incorrect answers, the computer announces the scores immediately after the examination. The candidates can check their final scores on the websites the next day. Each candidate can then take a print out of their score. The examination will only be held online. Each candidate has to register for the BITSAT examination by filling out the online registration form. This also includes uploading the scanned images of their photograph and signature. The application fee for a male candidate is Rs.3150 and for a female candidate, it is Rs.2650. The application fee can only be paid online through a debit/credit card or via net banking. The questions generally are not of a very high level of difficulty. Time efficiency is the most crucial and required thing to achieve a good score in this examination. Most of the questions are formula-based. There is no requirement to apply separately for the three campuses of BITS. During application, you need to apply one single form wherein you can provide your preferences. The common entrance examination is conducted for all the three campuses and no separate examination will be held.